Here is your bragging page! 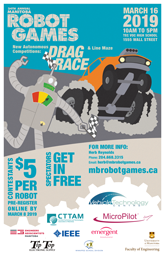 The following links will display the Manitoba Robot Games Winners for as many years as we can find records for to date. Enjoy!